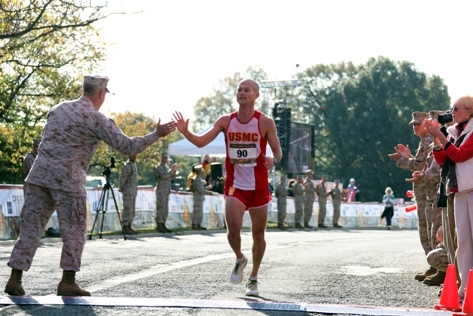 Gen. Jim Amos hand slaps 1st Lt. Sean Barrett, the first Marine to cross the finish line at the 35th Marine Corps Marathon Oct. 31. (Photo by Cpl. Brian Lett).